tpdnews: Revere man arrested for Open & Gross Conduct. Revere man arrested for Open & Gross Conduct. On February 26, 2016 at approximately 6:30pm in the vicinity of Longwood Avenue in Boston a female passenger was traveling on a Route 65 bus when she observed a male, seated in close proximity to her, watching a video on his cellular telephone and masturbating. 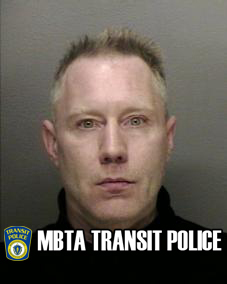 On March 15, 2016 after a thorough investigation by Transit Police detectives Francis Costa, 47, of Revere was arrested at his residence for Open & Gross Conduct. Costa appeared in Roxbury District Court the following day and was formally arraigned. Help the TPD Identify this male. North Attleboro man arrested for Illegal handgun. TPD officers recover two firearms. 2014 vs. 2015 MBTA Crime Statistics. Important Notice for Mansfield MBTA customers.